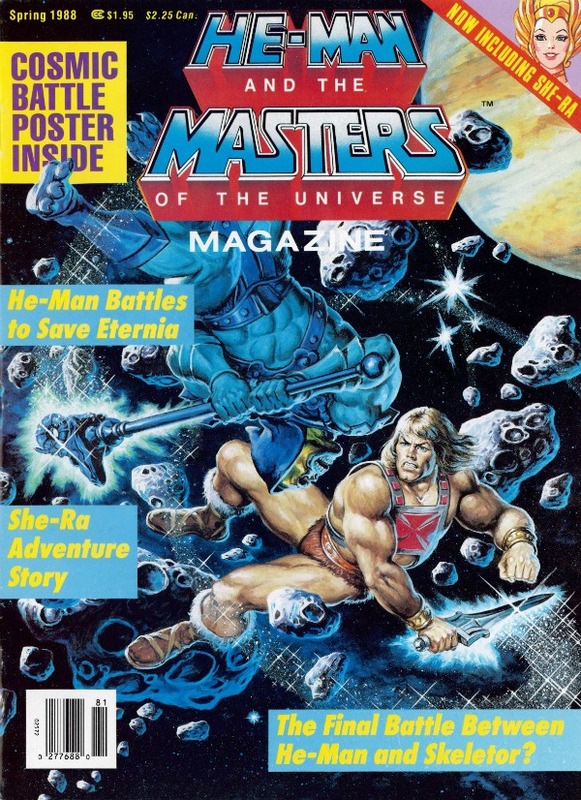 He-Man and the Masters of the Universe Magazine #14 is the Spring 1988 issue. This one is space themed (possibly even more than it is He-Man-themed). 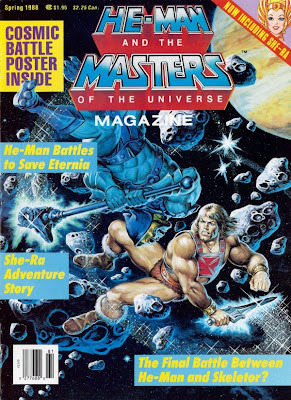 There’s more non-He-Man-themed content than ever here, with a page about hobbies and two with space facts from the good old days when Pluto was a planet (this latter offering contains such bewildering insights as “the sun is the brightest star in our solar system” and “there may be zillions of stars”). Education, ho! And, in keeping with the space theme, this issue’s celebrity feature is on freakin’ Wesley Crusher. This issue’s comic story, “To Save a World,” which is basically Deep Impact/When Worlds Collide on Eternia, actually does some interesting things. Skeletor’s plan goes shockingly, horrendously awry. Kirchner destroys the Royal Palace, sinks the Three Towers, and wrecks Snake Mountain (but naturally and stupidly, this all gets put back at the end like nothing ever happened). For quite possibly the first time ever, Snout Spout extinguishes an honest-to-goodness fire! And then we get…a cliffhanger! Activities include a guide to making your own “space shuttle” out of boxes and household materials (I have to say, by and large, these do-it-yourself construction projects have been pretty good), plus some fairly easy puzzles, most of which aren’t He-Man-themed. The one Earl Norem poster included is the cover: He-Man and Skeletor fighting in space for some reason, with no space suits or oxygen or anything.